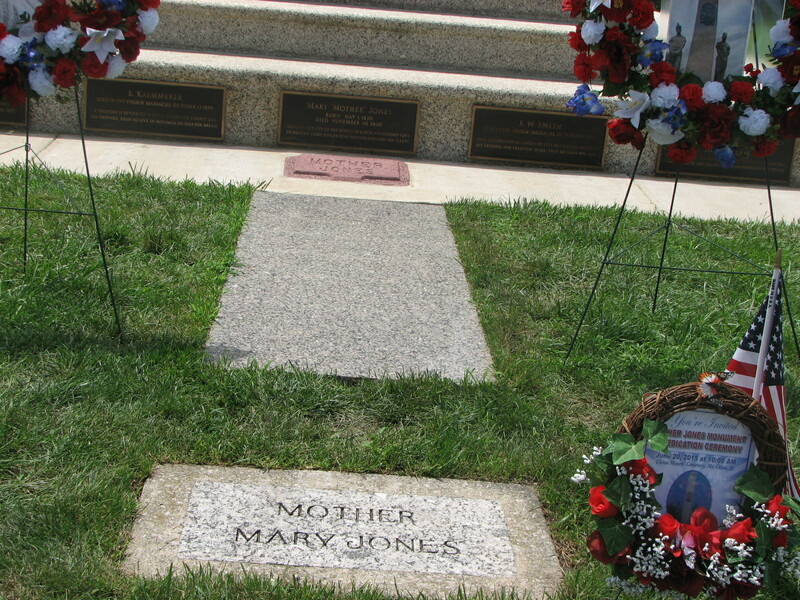 Mother Jones grave at the Union Miners Cemetery, Mount Olive, Illinois. The Mother Jones Foundation will hold its 30th Annual Mother Jones Dinner on Sunday October 11th, 2015 at Erin’s Pavilion, Southwind Park, 4965 South Second Street, Springfield, Illinois. This year it is dedicated to Joe Hill on the 100th Anniversary of his execution. The featured speaker will be MaryBe McMillan, who is Secretary-Treasurer of the North Carolina State AFL-CIO. MaryBe is a member of the International Union of Operating Engineers (IUDE) Local 465 in Durham, North Carolina. Bucky Halker, singer, songwriter and musician will provide the entertainment for the evening, following his tour dates with the “Joe Hill Road Show”. Earlier on Sunday afternoon at 12 noon there will be a memorial ceremony at the Mother Jones Monument in the Union Miners Cemetery. The Spirit of Mother Jones Festival 2015……”Unforgettable”!